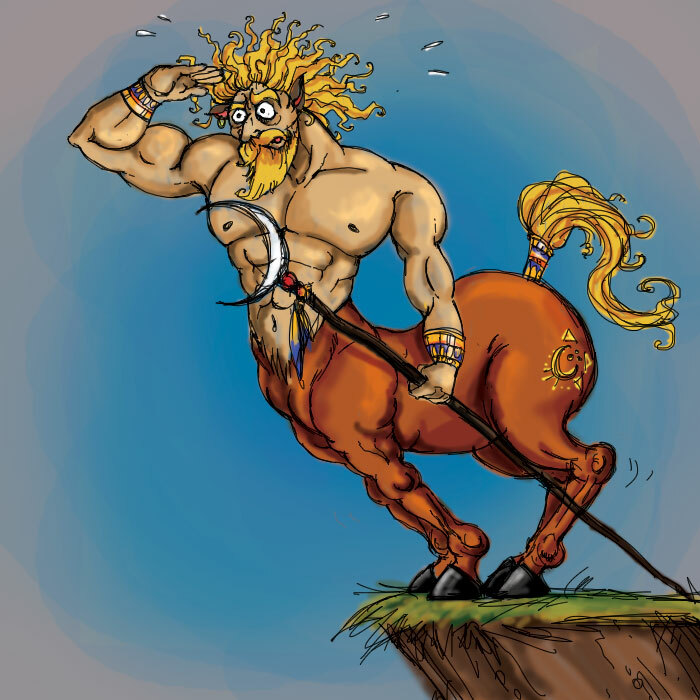 character driven: FROM Ruwangi Amarasinghe TO 1 recipient A frantic, brawny, seeker who may or may not be a centaur. Our Mission Statement- Created for the designers who want to focus on problem solving and getting out of their comfort zones. This is the exact tool I use for my character Design class. The idea is to take a physical descriptive adjective, a "conveyed feeling" adjective, and an archetype with an option to turn them mythical. This 3 prong attack makes the designer think about the actual "character" behind the idea and not just a shape or costume. I try to keep it open enough to have creative freedom and push the skills further along. So enjoy yourself, send an email, and tell a friend. Happy arting! 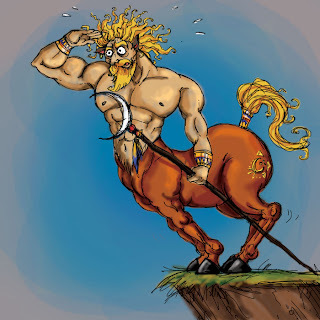 FROM Ruwangi Amarasinghe TO 1 recipient A frantic, brawny, seeker who may or may not be a centaur. -May include your name and website if desired.